To get a commercial driver’s license Idaho, an applicant should possess the necessary qualifications which are required both by the state and by the federal government. The process may seem a bit more tedious as there are more requirements that has to be submitted, but this is all for the safety and security of the drivers as well as of the nation as a whole. It is important to note that there are also vehicles which do not need a CDL in order to be operated in this state and they include farm equipment and recreational vehicles which are very common in this state. First and foremost, an applicant should have a current valid driver’s license before he or she can apply for a license in Idaho. This means that the applicant should have at least one year experience in driving before applying. Next, he or she should be at least 18 years old at the time of the application. Those who are 18 years old can drive CMV inside the state only, while those at 21 years and above are allowed to drive them interstate. He should not also have any record of serious violations for the past several years in order to acquire even a CDL permit. An applicant for a truck driving license must also be knowledgeable about driving commercial vehicles first before he or she can be supplied with a learner’s permit. One can learn about this by reading the Idaho CDL Manual which is available at any local driver’s license office. The manual contains the important ideas and skills that have to be acquired by a CMV driver. Knowledge of the basic car parts and the method of manipulating them as well as of maneuvering a CMV is important before taking a written test which is the first step in getting a CDL permit. After passing the written test and acquiring the truck driver learner’s permit, you now have 180 days to legally practice driving a CMV inside the state of Idaho with a licensed individual. There is no required training but you still have to practice driving during the said duration. Once you feel that you are ready for the practical road test, you will have to schedule the exam by visiting any local DMV office in your area. You have to provide your own vehicle as well as pay for the corresponding fees for the exam. The fees for a commercial driver’s license Idaho are as follows: $29 for a learner’s permit, $40 for the CDL, and $3 each for the written tests. Aside from this, you will have to submit a DOT medical certificate as well as undergo eye exams to determine your visual acuity. You will need to carry your driver’s license, social security card or number, valid IDs, birth certificate as well as enough money to cover for the test fees when you apply for this type of license. You can visit a third party testing center if you cannot supply your own vehicle for the road test. To learn more about finding a truck driving school in ID to help you pass the exams, visit this directory page. 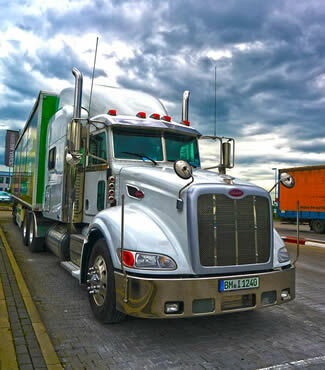 One cannot obtain a commercial driver’s licensed in the State of Idaho without complying with several state and federal government requirements. The process of getting a CDL license might seem a bit more tiresome as there are several requirements that must be met, but this is all done for the safety and security of all drivers. It is also important to remember that there are some vehicles that require additional endorsements to drive. First of all, an applicant must have a valid driver’s license before he or she can consider applying for a CDL in Idaho. An applicant must be at least 18 years old at the time of application or 21 years of age if he or she plans to drive interstate. The state requires that all applicants must have at least one year of driving experience before applying. Applicants must be knowledgeable about driving commercial vehicles in order to get a learner’s permit to drive a truck. This permit will only be given once an applicant is able to pass the written examination. The permit will allow an individual to drive a truck under the supervision of an appropriate licensed driver. Upon receiving the learner’s permit, applicants will have 6 months to practice driving a CMV and acquire the necessary skills and experience to pass the 2nd part of getting a CDL, the road skills test. 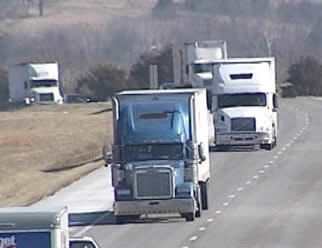 Although no format training is required, applicants find it easier to enroll in a truck driving training school/program. Applicants will have to schedule an exam date by visiting their local DMV office once they feel that they are ready to take the road skills test. Sage Truck Driving Schools at various locations in the country have provided top quality, comprehensive professional truck driver training to thousands of students for more than 20 years now. SAGE offers much more than simple tractor trailer training to get a CDL license or pass the CDL test. Aside from truck driver training, SAGE also provides with trucking job placement assistance to help its students start off their chosen line of work. Their training program delivers fast, focused results, and top-quality truck driving jobs for its graduates. If you would like to include a CDL training school on this page please use our contact form to notify us. With your school submission please include the name of the facility, address, and phone number.